10 Men Sent To Prison Over Shooting Of Pakistani Girl Malala Yousafzai : The Two-Way A Pakistani anti-terrorism court sentenced the men to 25-year terms for their roles in the near-fatal attack on Malala Yousafzai when she was 15. 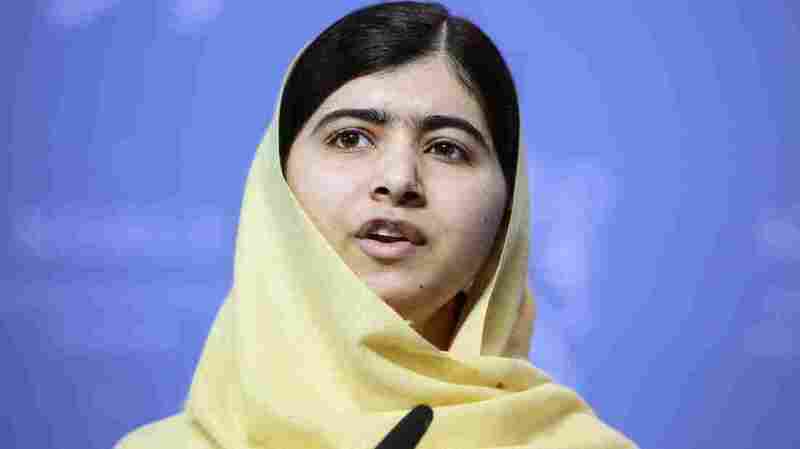 Malala Yousafzai, who was 15 when she was shot, was awarded the Nobel Peace Prize last year. A Pakistani anti-terrorism court has sent 10 men to prison for 25-year terms for their roles in the near-fatal attack on activist Malala Yousafzai in 2012. The girl who has since come to be known only by her first name later won global renown for her work promoting education for girls. "The 10 were convicted by an anti-terrorism court in a closed hearing in Swat in north-west Pakistan. That's where Malala Yousafzai, then aged 15, was shot and seriously wounded as she returned from school. "The Pakistani Taliban claimed the attack. It was seen as punishment for Malala's work as a student campaigner fighting for the right of girls to be educated. "Afterward, she moved to England and became an international symbol of defiance against intolerance and violent extremism, winning numerous awards including last year's Nobel Peace Prize. A security official told Reuters the 10 men didn't actually carry out the attack on Malala, but were involved in planning it." Pakistan's Dawn news agency reports, "The arrests were made on information provided by Israrullah, one of the alleged shooters, who was the first to be arrested." It adds, "Zafar Iqbal, a furniture shop owner in Swat, was the main accused and led the group."